The University of Oregon English Department and the Collins Fund present Asian American Voices, A Collins Literary Forum, bringing four authors to the UO campus in spring. 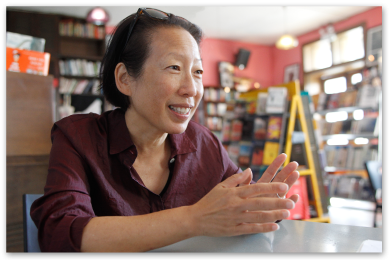 The first will be Gish Jen, author of four celebrated novels, a collection of short stories and her most recent book, Tiger Writing: Art, Culture and the Interdependent Self. That book is drawn from her lectures at Harvard University in 2012. She’ll appear in the Knight Library Browsing Room on the UO campus on Monday, April 21st at 8 p.m.
Claudia Schmidt has been a touring professional musician for over four decades, with nineteen albums of mostly original songs, exploring folk, blues, and jazz and spoken word. Her spring tour brought her to Salem and Eugene with her new Red House release, New Whirled Order. Live music should always be so lively! Andy Cohen, Chico Schwall and Mark Ross begin their first Northwest tour as the Marx(ist) Brothers with a rousing send-off on the Saturday Cafe. Despite rainy and windy conditions, hundreds of people celebrated Earth Day Saturday in the Eugene Water and Electric Board's downtown parking lot. The wind seemed to be more of a factor than the rain. Elizabeth Brown is with the organization "Our Children's Trust" who operated a booth at Earth Day. She says they tied their booth next to two adjacent ones. 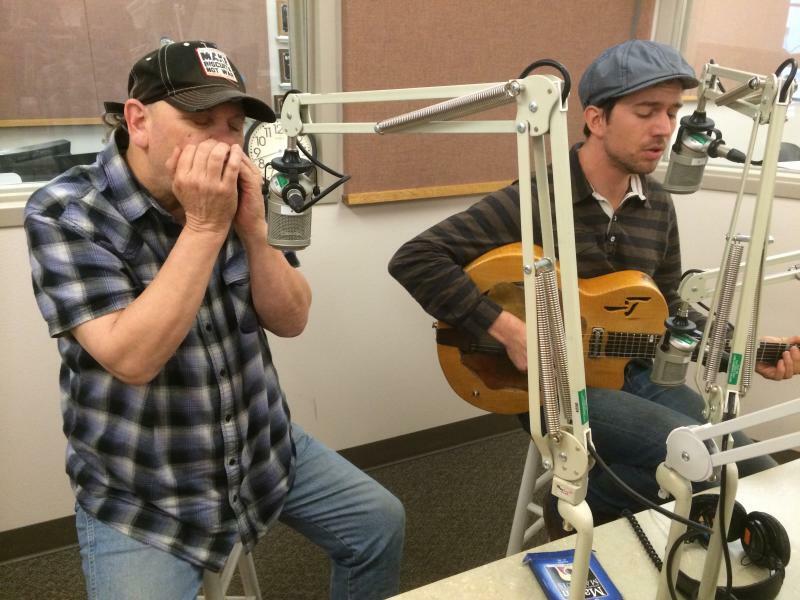 David Jacobs-Strain merges the blues with his own musical vision, including in acoustic duo shows with Philadelphia harmonica master Bob Beach. He’s also recently been recording in southern California with some stellar players, including bassist Viktor Krauss (of Lyle Lovett's Large Band), Greg Leisz and legendary drummer Jim Keltner. 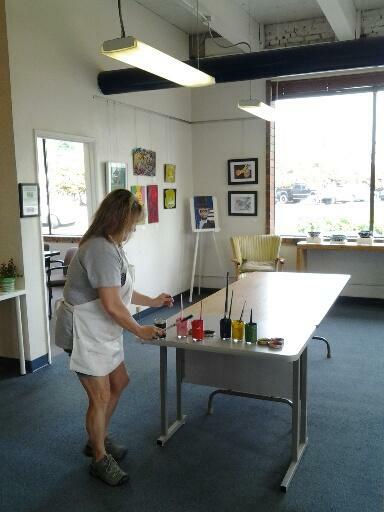 Terry Way and Sandy Jenson visit Lincoln Gallery in Eugene. It's sponsored by Oregon Assisted Living Program. Guest conductor Grant Llewellyn, a native of Wales, will join the Eugene Symphony for their April performances in Eugene and Florence. He also is participating in extensive artist residency programs this week as well. He speaks with Eric Alan about the experience. 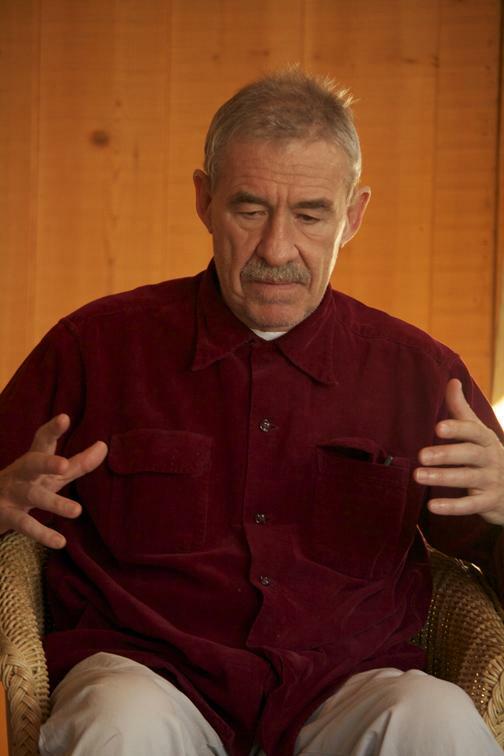 Tom Spanbauer is the author of five acclaimed novels, and the founder of the teaching form called Dangerous Writing. His latest novel I Loved You More looks at the workings of a very complicated love triangle. Before giving a reading on the UO campus on Tuesday evening, April 15th, he speaks with Eric Alan about the muse of the secret sore place. 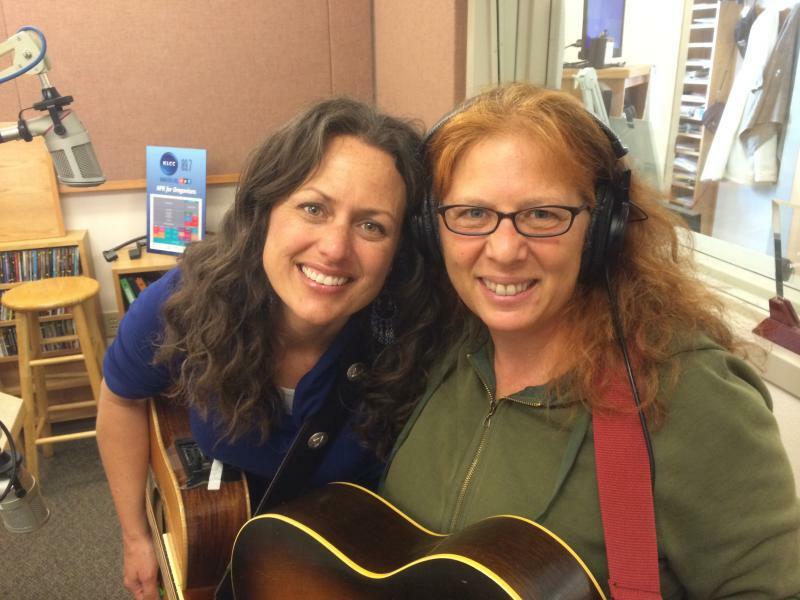 Portland songwriter Anne Weiss has merged folk with the blues and other influences, while Texas native Beth Wood has brought her own songs to Eugene in recent years. Together, they joined Eric Alan in the KLCC studios on the last day of KLCC's spring fund drive, before also performing together at Tsunami Books in Eugene, on Friday April 11th. The Battlefield Band merges traditional Scottish music with their own modern, original compositions, into a blend that’s won them many awards over the years. That recently includes “Album of the Year” at last year’s Scots Trad Music Awards, for their most recent release Room Enough for All. They were previously named “Scottish Folk Band of the Year” there as well. 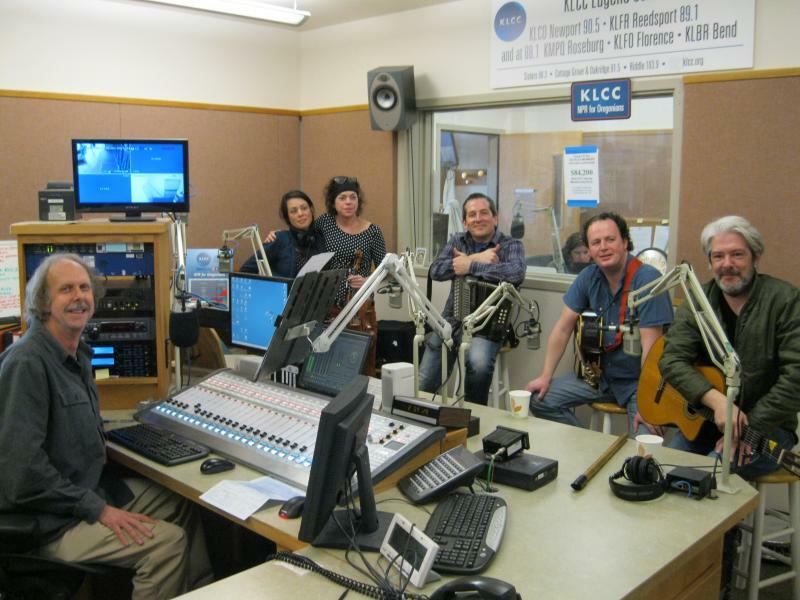 They joined Eric Alan live in the KLCC studios, before performing at the Jaqua Concert Hall of the John G. Shedd Institute for the Arts in Eugene on April 10th. The annual Shy Persons Talent Show will coax secret performers of all ages out onto the stage at Sam Bond's Garage in Eugene starting at 6 p.m. on Saturday, April 12th. It's a benefit for paralyzed activist David Oaks. Eric Alan talks with the talent show's originator, Buck Mueller, and Margo Schaefer about the event. The Eugene Ballet Company is collaborating with the Cherry Poppin’ Daddies for Zoot Suit Riot at the Hult Center in Eugene on Saturday, April 12th and Sunday, April 13th. The performances will also include a tribute piece called “Silk and Steel,” by Toni Pimble, the Eugene Ballet Company’s Artistic Director and Resident Choreographer. She and Steve Perry, vocalist and guitarist of the Cherry Poppin’ Daddies, talk with Eric Alan about the unusual collaboration. The Eugene-Springfield Youth Orchestras celebrate eighty years of bringing music into the lives of youth, with a performance at the Hult Center in Eugene on April 5th. That performance will include all of the ESYO ensembles, and a guest appearance by Grammy-nominated singer-songwriter Tracy Bonham Fine, a Eugene native who once played violin in ESYO. 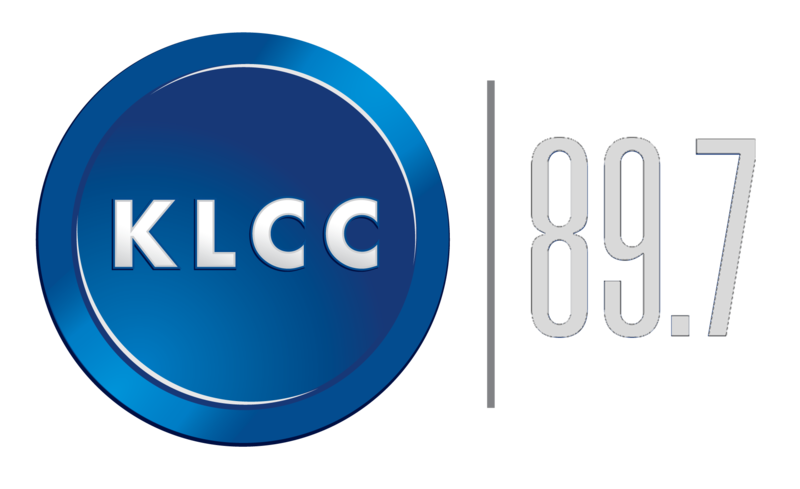 She joined Eric Alan in the KLCC studios, along with Michele Pound, ESYO’s Executive Director. 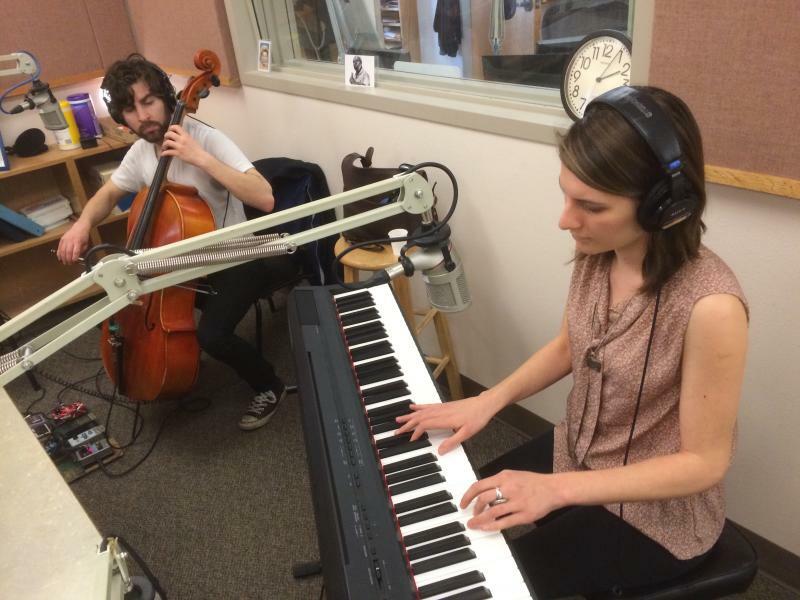 Vocalist and pianist Robin Bacior is part of a musical duo with cellist Dan Bindschedler, who've recently relocated to Portland from New York. They're working on a new CD called Water Dreams, to be released this summer. 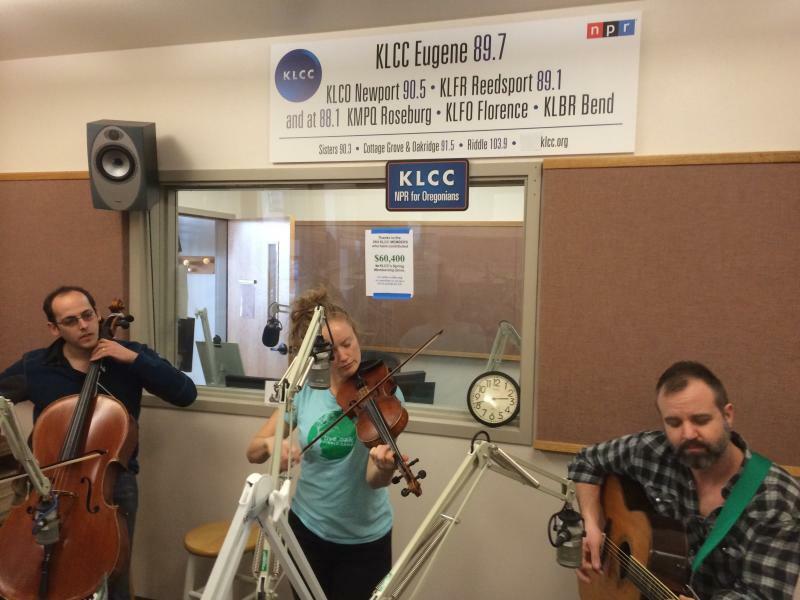 They visited the KLCC studios to play a few songs, before performing at the Axe and Fiddle in Cottage Grove on Thursday, April 3rd. 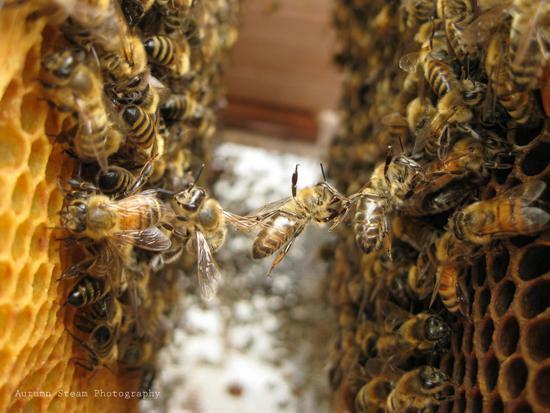 Honeybees are in peril because of disease and pesticides. A photo contest celebrating bees will be on display during the first Friday Artwalk in Eugene Friday evening. 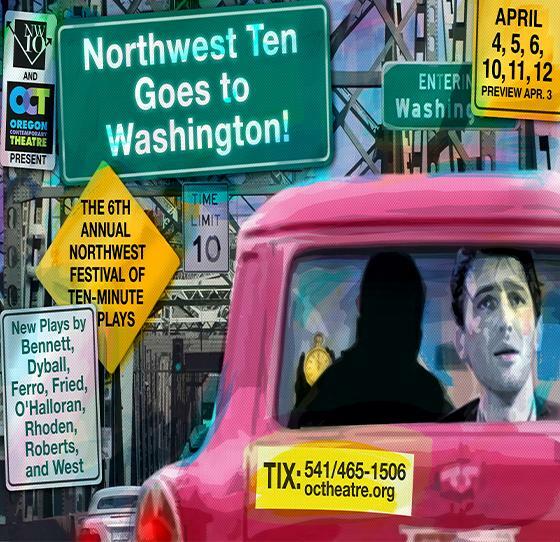 The Sixth Annual Northwest Festival of Ten-Minute Plays runs April 4th-12th at Oregon Contemporary Theatre. Executive Producer Paul Calandrino and playwright Nancy West talk with Eric Alan about the joys and challenges of short-form theatre, and what emerges when eight plays are presented together. Terry Way and Sandy Jensen check out three artists showing at the Jacobs Gallery in Eugene. Oregon Humanities is launching a letter exchange to help connect people from different parts of the state. It's called the Dear Stranger project. 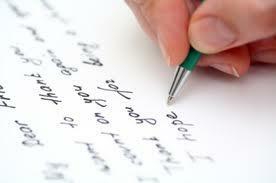 Writing a letter, sending it through the mail, then waiting for a reply isn't as common in the digital age. That's partly why Oregon Humanities is launching a letter exchange. Executive Director Adam Davis says part of their mission is to connect people. They will be gathering dear stranger letters from all over the state, and then they'll swap them. Glass sculptor Jonathan Swanz is doing installations at Lane Community College called Vibrant Matter and Right of Passage, the latter of which is paired with a dance performance by Bonnie Simoa and Sarah Nemecek. Jonathan Swanz joins Eric Alan to talk about light, the social behaviors of glass and people, and the relationship of portals and pilgrimage. The Downtown Eugene Public Library presents “The Art of the Possible: Jazz and Community Building,” on Saturday March 29th. It’s a community conversation led by Tim DuRoche, a jazz musician and scholar, who joins Eric Alan to talk about the changing landscapes of music and society. 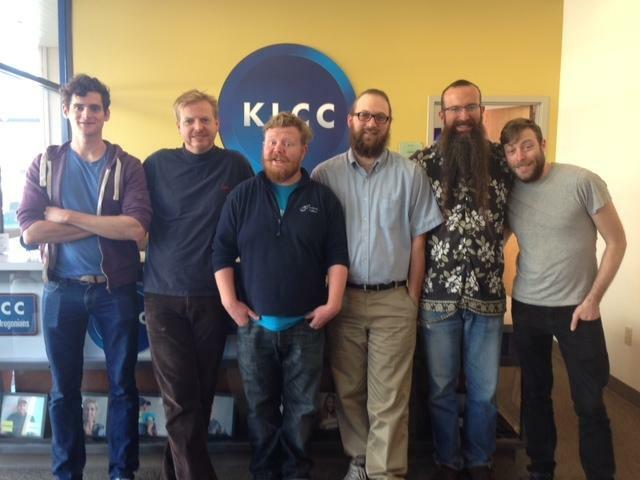 The Irish-American band Solas stopped by the KLCC studios for an interview/performance with KLCC's Eric Alan. They are touring the Pacific Northwest in support of their latest project, Shamrock City. 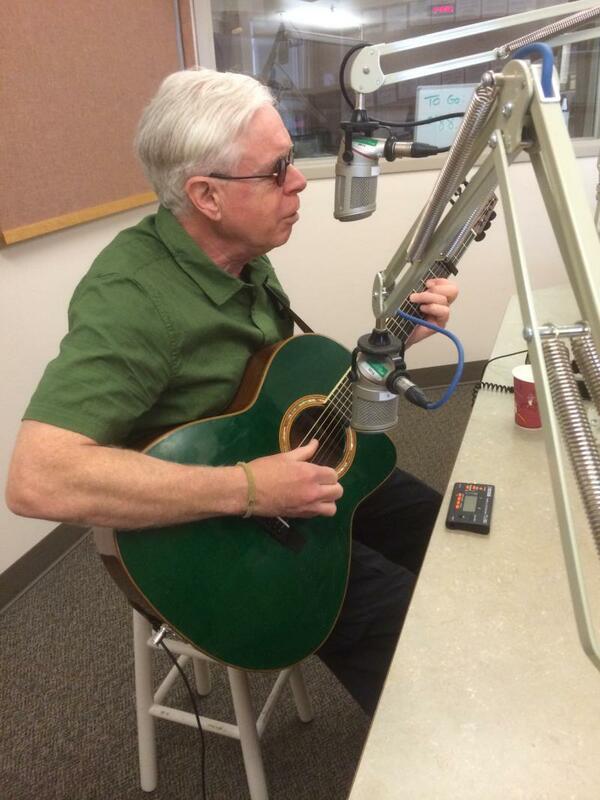 Solas plays the Shedd Institute in Eugene tonight (3/27), and in Sisters, Or. on Saturday night (3/29). 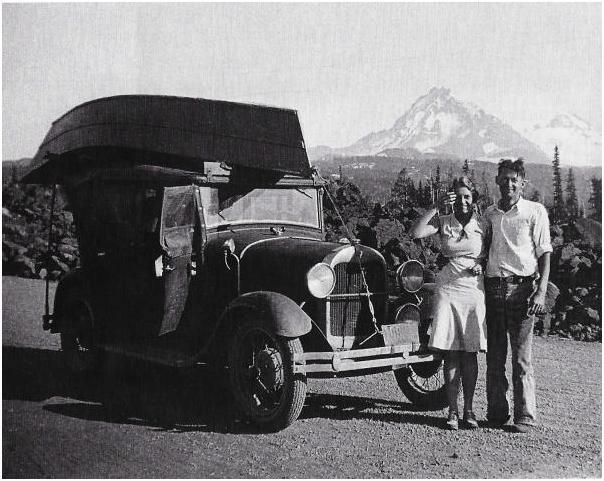 Not that long ago in Oregon and America, marriage evoked a simple narrative. A man and his “intended” would exchange vows. The woman would take the man’s name. They’d commit to each other for life. Today, divorce is on the rise. Heterosexual marriage is a shaky proposition. Many partners forgo it. They simply live together. The woman may choose to take the man’s name… or not. Either one may insist on a prenuptial agreement to protect assets should the marriage not take. Divorce, once stigmatized, is as accepted these days as scrapping an old car. Linda Perhacs recorded an album in 1970 called "Parallelograms". The album got some small notice back then, but Linda went back to her day job as a dental hygienist for about the next 40 years. In the meantime "Parallelograms" slowly developed a cult following, and because of that Linda has just released a new CD called "The soul of All Natural Things". She visited the KLCC studio to spin a few tunes from her CD, and talk with KLCC arts reporter Eric Alan. Marty O’Reilly and the Old Soul Orchestra bring vintage Delta Blues influences to original music, along with other eclectic influences. The Orchestra is a trio that includes including Marty O’Reilly on vocals and resonator guitar, Chris Lynch on the fiddle, and Jeff Kissell on double bass. 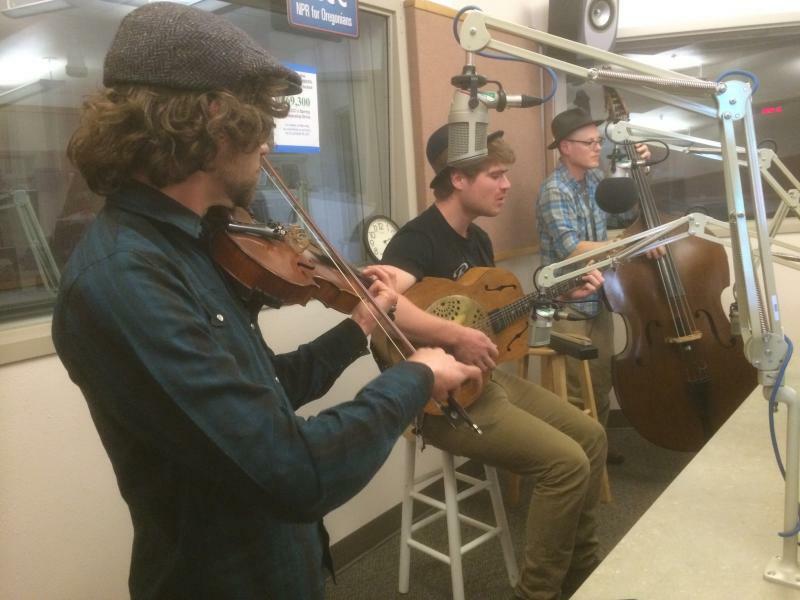 They performed live in the KLCC studios before playing in Bend at Crows Feet Commons on Friday, March 21st and then on Wednesday, March 26th at Sam Bond’s Garage in Eugene. 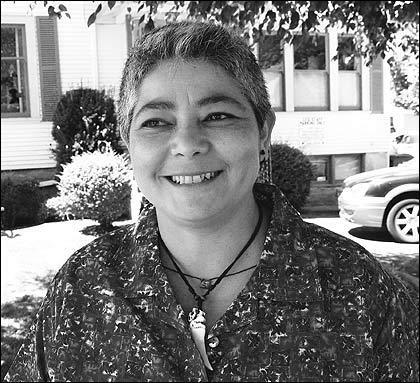 Patricia Cortez is founder of Juventud Faceta, a program developed with the Amigo Multicultural Services Center to train Latino youth to be leaders and human rights advocates. She sat down with one the youth members to discuss how Juventud Faceta has affected their lives. The young man asked to remain anonymous. Scottish fiddler Hanneke Cassel returns to her native Oregon from the Boston area, bringing her eclectic trio to KLCC before performing at the Jaqua Concert Hall in Eugene and a house concert in Bend on March 19th and 20th, respectively. She’s out touring behind her most recent CD, Dot the Dragon’s Eyes, along with Mike Block on cello and Christopher Lewis on guitar. They perform three eclectic instrumental tunes, and speak with Eric Alan about everything from touring in China to growing up in Port Orford.